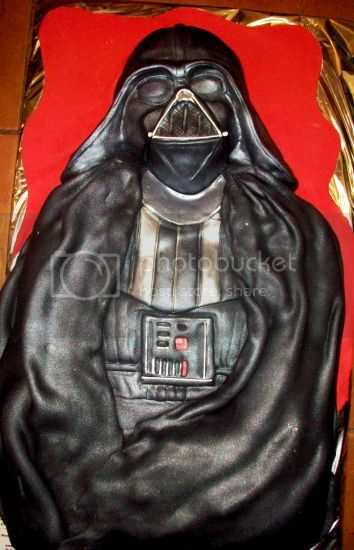 The Darth Vader cake from The House of Cakes Dubai can be flavor-customized to your desires. When it’s time to pick up your cake, head about two miles down Sycamore Street, take a right after the shopping center with the empty Circuit City, and then keep going straight UNTIL YOU HIT DUBAI. Find more hilarious cakes (natch) in the book Cake Wrecks: When Professional Cakes Go Hilariously Wrong. And black frosting is reported (on cakewrecks) to make poo turn green. Ew.